Celebrating its 10th anniversary in 2017, Women in Football was co-founded by Shelley Alexander and Anna Kessel, along with four women who also worked in different areas of the industry, and a decade later has grown to boast more than 1,600 members including many sports journalists. Disappointed and frustrated at the negative attitude faced by many women working in the industry, WiF set out to champion, support and celebrate female talent in a bid to bring about a change. The historic first WiF event was held at West Ham United’s Upton Park ground, and the organisation has gone from strength to strength, welcoming Barclays on board in 2014. WiF focuses on improving women’s representation at all levels of the game by challenging discrimination and lobbying for positive change such as widening the talent pool of diverse women across the game and achieving gender balance on boards and committees. Of equal importance, is instilling confidence in reporting discriminatory behaviour and abuse, and the official website (www.womeninfootball.co.uk) has an easy to use form to report such incidents. In 2015 WiF launched its first end-of-season report on sexist incidents in the national game and have continued to both monitor the industry and provide pro bono legal advice and support to women affected by sexism and discrimination. WiF run a career enhancing mentoring scheme in partnership with 30% Club and Women Ahead, regularly host seminars and workshops for its members and encourage women from all areas of the football industry to meet at networking events held throughout the UK. 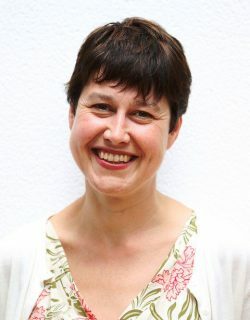 The eight-strong WiF Board is headed by Chair, Anna Kessel MBE, who writes for the Guardian and Observer and is also author of ‘Eat, Sweat & Play’. Joining Anna on the Board are Hala Ousta (Scottish FA inclusion & diversity officer), Jo Tongue (executive producer and talent manager Tongue Tied Media), Jacqui Oatley MBE (football presenter), Ebru Köksal (FIFA consultant), SJA committee member Vikki Orvice (journalist, pictured right), Jean Bevan (Head of Corporate and Commercial Law, Bevan Kidwell LLP) and Liz Ellen (Head of Sports Law practice, Mishcon de Reya). Other key members of WiF in its infancy were Rebecca Lowe, Gemma Clarke, Emma John and Jackie Bass.